With the rise of the middle class and an increase in disposable incomes, Chinese consumers are becoming increasingly health conscious when it comes to diet. Moreover, healthy lifestyle campaigns have also started to burgeon among younger generations, leading to a greater awareness of the connection between the environment and diet. As a result, a whole new category of food and set of habits are emerging in China. Interestingly, the concept of a healthy diet is often linked to western food. 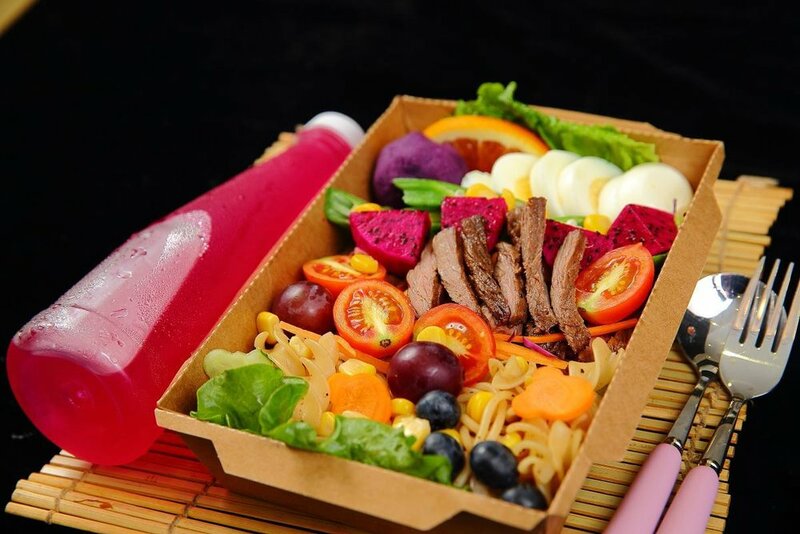 On popular Chinese delivery app Ele.me, a category of food is called “轻食西餐“ (qīng shí xīcān - light western food), which refers to healthy food such as salad. But this doesn’t mean that the majority of Chinese are reaching for a salad fork. While salad has been getting more attention in China, Chinese consumers still find their ways to avoid raw food, as it has not been a part of the traditional Chinese diet. One significant concern that stands between Chinese consumers and raw salads is that of sanitation. A healthy diet, therefore, often reminds Chinese consumers of boiled vegetables. While the shift to healthy diets in China opens up a wealth of opportunity for western brands, an understanding of what constitutes healthy food from a Chinese perspective is crucial. Chinese cookery is a complex affair involving thousands of years of tradition that require a unique balance of flavours and seasonings including sugar, soy sauce, fermented bean pastes, vinegars and more. This prolific reliance on an array of seasonings and sauces generates another opportunity for food products to take on healthful properties. Many seasoning brands in China are now offering clean label and zero additive products. Mintel shows that 33% of married consumers with one child will consider whether a soy sauce contains GMO (Genetically Modified Organisms) ingredients before purchase. It seems that the obvious answer to maintaining a healthy diet is to remove ingredients that cause health problems - like saying nay to sugar and sodium. However, adding things back in could also be a solution for Chinese consumers given how traditional Chinese medicine categorises healthy foods. It's important to consider the attachment many have to medicinal herbs, and the perception that they can heal diseases. For example, the addition of goji berry to a chicken soup might outweigh a high oil content in the evaluation of its healthfulness. Another unique Chinese take on healthy diets is the idea of balancing the “heat” and the “cold” in every meal, a consideration that comes from traditional Chinese medicine, which dictates that every human body is made up of “yin” and “yang” elements. There are many classical food and beverage items that are assigned either a “heating” or a “cooling” quality. For example, pears are usually considered as a “cold” fruit and can help cool down an inflammation or a fever, whereas drinking hot water has long been considered to have a whole plethora of healthful advantages, lowering the body’s internal temperature to restore balance and good health. While a healthy diet is something most people are striving for nowadays, each culture has its own understanding and approach. It’s not always about “an apple a day keeps the doctor away.” Sometimes the answer might be “一天吃个枣，容颜不易老” (Yītiān chī gè zǎo, róngyán bùyì lǎo - a date a day makes the youth stay). Established in 2018, Taste Collective is a marketing and brand strategy consultancy for food and beverage brands in China. Headquartered in Shanghai, Taste Collective has over a combined decade working in the hospitality and marketing sectors, with focus on experience-driven solutions for brands to build deeper connectivity with their audience. Take the next step and send us a message - we can’t wait to hear from you.